Parents searching for an unusual name for their new arrival may want to consider Norwegian baby girl and boy names. These options offer appealing historical and symbolic meaning along with beautiful-sounding designations. Selecting Norse names for infants involves considering the sound of the name as well as the rich history of the Norwegian names. There are many sources of inspiration for Norwegian baby names. Start with the meaning then look for pronunciation and spelling variations to see if the name can work for your child. Nordic baby girl names often have strong sounds and meanings. Jorun "Stallion" and "to love"
Baby boy names from Norway favor use of the vowel "o" and are often short, strong sounding names. The Norse heritage takes naming babies very seriously. Norwegian naming law requires that all babies have a first and at least one last name registered by the time they are six months old. While some Nordic countries go as far as having lists of approved first names, Norway only has strict usage guidelines for surnames. If a surname is registered by fewer than 200 people in the country, others can only take that surname if all others currently using it consent. Also, if the parents are not married, both declared parents must approve the chosen name. Norwegian baby names are quite unusual in other countries and this aspect of the designations makes them very appealing to parents who want unique names for their children. The meaning of the name is of great importance in Norse culture. The significance manifests itself in a number of ways, particularly in the approach that parents take to select the right designation for their child. A few traditional options are available to consider. Language changes over time. Old Norse names contain elements that used to be common adjectives and nouns. The words are no longer used in everyday language, but they are still present in Norwegian names. In a sense, these names are indicators of how language morphs over the centuries. Descriptive choices relate to hair color, skin tone and other physical characteristics. Place selections relate to specific regions in Norway and surrounding areas. Historical options are very important in this culture, relating to mythology and history. Nature offers choices relating to plants, flowers and other natural elements. Specialty names are created especially for the newborn. In essence, a baby is a combination of his mother, father and ancestors. Often children were named for their grandparents and great-grandparents in a specific order. Ancestral names offer significant meaning in Norse tradition because the child is believed to inherit the personality and strengths of the deceased relative. Norwegian babies were never to be named after someone still living. Some modern parents may choose Norwegian historical figures or mythological characters that have appealing qualities they want to have bestowed in their children. If you want to explore more Norwegian or even Scandinavian baby names, check out these lists and resources. 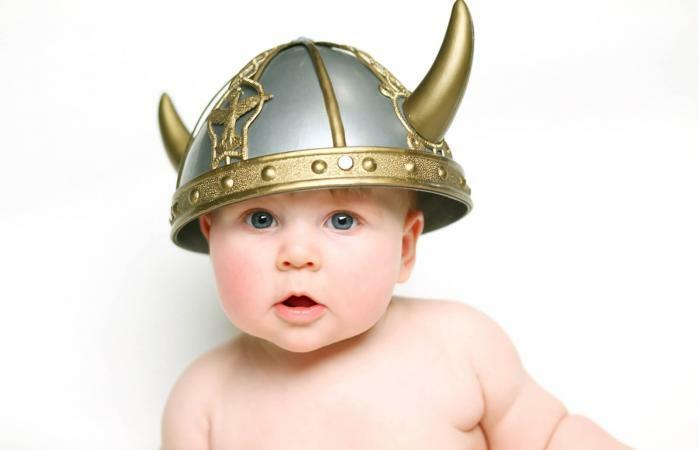 Gothic baby names are often sourced from mythology including Norse Gods and Goddesses. Norwegian names can be difficult to pronounce because of their roots in ancient languages. Because of their origins, Norwegian names are often considered unique baby names. Beautiful pagan baby names sometimes stem from Norwegian culture. Norwegian baby naming traditions and modern names are most often a nod to ancestors, family lines of work, or cultural beliefs from Norway. These meaningful names are a gift to your little boy or precious baby girl because they foreshadow a meaningful life.